The list of wallets that can be used with TREZOR device is constantly growing. These include TREZOR Wallet or Mycelium. To see the full list, please check out our TREZOR Apps. 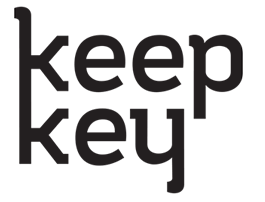 KeepKey supports message signing; the process is very similar to transactions. In a computer client that supports KeepKey and message signing (e.g., Multibit HD), you first create the message you intend to sign and choose the address to use for the signature. Your computer client passes the message and chosen address to the KeepKey, which in turn displays it and prompts the user for manual confirmation. Once confirmed, the signed message is returned to the computer client. How do I import / recover a backup on a Nano S? How do I setup a passphrase and an alternate PIN? The passphrase is like a 25th word on your 24 words seed, but one that you should remember and never write down. It scrambles your seed and generates a new identity: there is no right or wrong passphrase, each one will always derive a unique seed and set of accounts. protection of your backup seed: if someone gets physical access to your 24 words seed, it’s game over. If your accounts are behind a passphrase then you are protected since it would be computationally extremely expensive (and not feasible) to try all possible combinations. plausible deniability: in case of a $5 wrench attack, you would give out a passphrase unlocking accounts containing spare change. Of course, this has some limits: if the attacker is very well informed he can continue to hit you with the wrench until you give the “real” password. As entering a passphrase on your Nano S each time you plug it would be highly impractival, Ledger’s approach is to use an alternative PIN (or “duress PIN”) which would be locked to a fixed passphrase. Note that all your apps (Bitcoin, Ethereum, FIDO…) are affected by the passphrase identity change. The options are now available directly under the Settings menu on the Nano S. Make sure that you remember your passphrase if you use one. Forgetting the passphrase will result in a loss of funds eventually. Using older firmware versions, setup of the passphrase requires the use of Python scripts. Upgrading your firmware is recommended in order to use the more user-friendly internal Settings menu. It will request your passphrase on your computer, request your current PIN on your Nano S and generate the new set of accounts. If --persistent is set then you’ll be asked to enter an alternate PIN and these accounts will be attached to it. Otherwise, these new accounts will be active on the device until it is powered off. With an alternate PIN activated, when you power on the device, the usual PIN will give you access to your normal accounts, and the alternate PIN will activate the accounts behind the passphrase. Our recommendation is to use your current PIN for your day to day accounts, holding reasonable assets, and your alternate PIN for your savings account, holding higher value assets. This way, not only will your backup seed be protected by the passphrase, but your “duress” PIN will in fact be a real account with real transactions. This would be much more effective in a plausible deniability scenario. If you provide one PIN to an attacker keeping control of the device for some time, it can be leveraged to try to brute force the other PIN, as the counter is reset during a successful PIN input, and both PINs share the same retry counter in current firmware versions. The best course of action is to restore and transfer your assets to a different seed quickly if this happens. How do I erase my wallet or reset my Nano S? If you acquired a second-hand Nano S, or if you want to create a second wallet, follow this tutorial to know how to reset your device first. How can I use my Nano S on my computer? the Ledger Manager: go to this page in your Chrome browser, and click on "Available on Chrome" to download and install it. the Ledger Bitcoin Chrome app: go to this page in your Chrome browser, and click on "Available on Chrome" to download and install it. Check that the browser support of this application is set on NO. If you want to manage other coins or applications with your Nano S, you can manage your applications through the Ledger manager. How do I send a bitcoin payment from my Nano S? If your Nano S is not initialized go to https://www.ledgerwallet.com/start and follow instructions. To manage your Bitcoins, you must launch the Ledger Wallet Bitcoin Chrome application. If you haven't installed it yet, this is the way to do it: in your Chrome browser, and install the application here. 8/ Your Nano S requires your manual consent to authenticate this transaction: press the right button (above the "V" check icon) to confirm once you have verified the details of your transaction are right and wait until your Chrome app displays "validated"